Welcome to Fire-Support, Open 6 days a week! Check out our Special Offers and Clearance items for BIG savings! Are you a Re-enactor or interested in historical weapons? New historical weapons category by clicking here! Guns from eras such as WWI, WWII, Vietnam etc. We also build Custom Rifles here at FS out of the many high end brands that we sell. Buy a brand you can trust, backed by a dealer who knows the product. 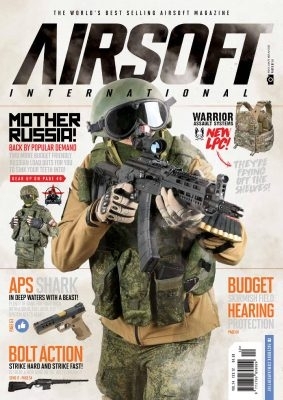 ICS Airsoft - A great variety of Airsoft Guns, Metal, Plastic, Clear and the New EBB! Upgrade's, Repairs and Custom work done by our Technicians here at Fire-Support! Get Award winning Service from one of the Best Airsoft retailers in the UK! for our latest updates, news and discussions!